Northworks combines state-of-the-art 3D printing with high precision machining, injection molding and production facilities to provides a seamless process for fabricating one part or a thousand. Our expert team of engineers work with you to determine the best approach to manufacturing your device. Northworks provides full range printing services. We can help walk you though the whole process and optimize your designs for 3D printing. Capacity to print objects up to 8 cu ft in one pieces. Larger pieces can be assembled. Capacity to print materials up to 400C including PEEK, Ultem and Nylons. Northworks has CNC machines with capacities up to 26" x 40" x 25" with 5 micron resolution. 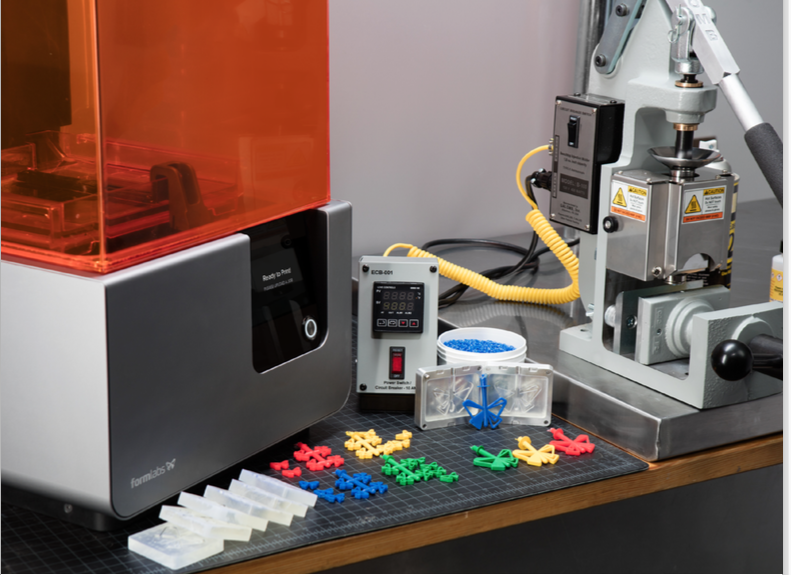 Modular fixturing combined with advanced CAM integration provides efficient job setup and changeover for small-batch manufacturing. By utilizing 3D printed molds, Northwork can provide a cost-effective solution for batch production of up to 1000 units.